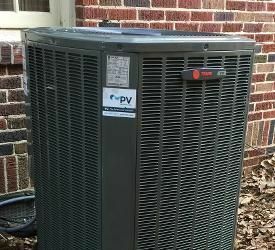 “This room’s too hot.” “It’s too humid in here.” “Our air is so dry all winter.” At PV, we’re used to hearing these concerns from Sandy Springs homeowners. And you know what? We’re also used to solving those problems. All of them. We’ve been addressing comfort problems across Sandy Springs for over a decade. Looking for the smartest HVAC team this side of the Chattahoochee? That'd be us. Get to the root of your HVAC problems. We find out why you’re having issues. That way, you can enjoy an effective, long-term solution – not a band-aid fix. Provide rigorous analysis and informed recommendations. No guesswork here! 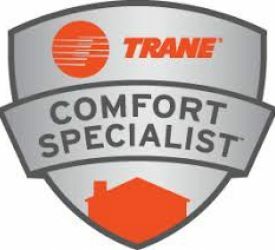 Our trained team members analyze your home and discover the best way to address your comfort problems. 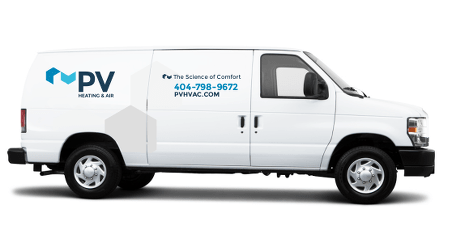 Keep your HVAC system working properly during every season.With bi-annual AC and heating inspections and discounts on parts, we offer metro Atlanta’s best HVAC service agreement. Need service or an estimate? We're already heading up 400. If you insist on the best for your Sandy Springs home (and you do, right? ), you’re in the right place. As home performance experts, we’re all about optimizing comfort and lowering your energy bills. Our job is to keep you and your family comfortable throughout the year. Full stop. And since we’re practically in your neighborhood, there’s hardly a more convenient choice for HVAC service. Let's do this, Sandy Springs.